I wanted to share with you this ad from a bridal fashion shoot that I did for local bridal couture designer, Mary Porter. 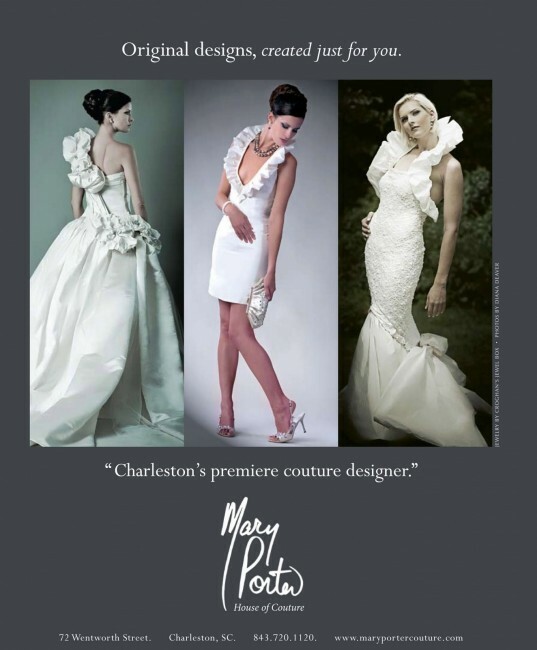 Look for it in the fall issue of Charleston Weddings Magazine! I have to say thank you to my wonderful models! And to Mary Porter for the opportunity It was so great to see her new designs. It was such fun. Because really, what girl doesn’t love ooohing and aaahing over wedding gowns and bridal shoes in the middle of the week?